Meat can be stored for longer periods of time if frozen at -10°F or below. 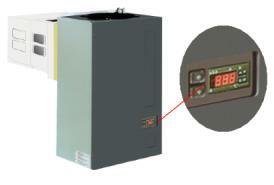 After the meat is frozen, maintain the temperature at 0°F or lower. Most chest-type and side-by-side freezers are able to maintain this temperature while most ice compartments in refrigerators do not. Therefore, it is not recommended to store meat in the ice compartment!! Limit freezer storage time on all meats to maintain their optimum quality and freshness. Freezing meat will not improve its quality, but will retain its natural color, flavor, texture and nutritional value. Thaw frozen meats slowly in the refrigerator, allowing approximately 3 to 7 hours per pound depending on the size and thickness of the cut. 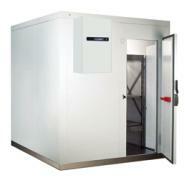 Our Modular Freezer Rooms have a temperature range from -10 to -25. Ideal for multi purpose freezer meat storage and to ensure your produce is stored at optimum temperature for maximum freshness.